FEATURED SHORT-TERM BEACHFRONT PROPERTY - SIESTA KEY BEACH VILLA - FOR RENT BY OWNER - BEST VALUE ON CRESCENT BEACH! GULF SIDE VILLA-NOW WITH FREE WI-FI INTERNET- GROUND FLOOR UNIT EASY IN AND OUT! CLICK CHECK AVAILABILITY ON FRONT PAGE! SIESTA KEY BEACH SELECTED as the BEST BEACH in the U.S.! 'Dr. Beach', released his list of "America's Best Beaches" for 2010 and rates Siesta Beach as NUMBER ONE IN THE U.S.
MANAGERS SPECIAL Stay 6 nights and receive one night FREE between NOW through Dec. 13, 2011 for a weeks stay! Enjoy our beautifully updated 2 BR/2 BA Villa just steps to the Finest, Whitest Sand in the World - Crescent Beach; voted the Best Beaches in America. Reasonably priced our Villa has everything you need for a fun-filled, relaxing vacation. Our unit is beautifully decorated with FREE WI-Internet, cable TV in both bedrooms, screened lanai for casual dining, fully equipped kitchen, central A/C, and private parking with laundry facilities available. We have - on-site management. Enjoy a heated pool with adjacent pool and ping pong tables. Enjoy our magnificent ambiance that suits your celebration: a vacation with the kids, a family reunion, or romantic getaway for your wedding honeymoon, or anniversary. Come see us in Paradise! Screened in lanai for casual dining, fully equipped kitchen, central air-conditioning, private parking, laundry facilities available with on site management. 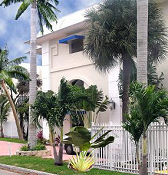 FALL SPECIAL RENT 2 BDRM VILLA FOR 2 PEOPLE ONLY FOR $870. BETWEEN SEPT. 5TH THRU Nov 20TH 2010. Cleaning $60 and linen fee for this period with this special pricing..Florida Taxes are 11%. BOYNTON BEACH - "Located off of Boynton Beach Blvd in Boynton Beach, FL, Heron Point is located just miles from shopping at the Boynton Beach Mall, I-95, the Florida Turnpike, and the beaches." Located in Boynton Beach, FL, Heron Point is situated just minutes from shopping at the Boynton Beach Mall, I-95, the Florida Turnpike, and the beaches. Most Units Feature: Air conditioning, Carpeting, High speed internet available, Dishwasher, Laundry room, Washer/dryer hookups, Balcony/Deck/Patio. Property Features: Fitness center, Playground, Pool, Tennis court. DAYTONA BEACH - Check out our awesome lakeside community. We've got everything you need to relaxation and fun. When you're ready for a great work out, head to our 24 hour Fitness Center outfitted with weights and cardio machines. When you want to relax and chill out, lounge with your friends by our refreshing swimming pool with Jacuzzi. You'll love our spacious living areas for gathering with friends and family, extra storage for all your belongings and full-size W/D connections for your added convenience. We're located close to I-95, Daytona beaches, malls, dining and great entertainment, you'll be meeting friends for a fun night on the town right in your neighborhood! Call to schedule a personal tour. Most Units Feature: Air conditioning, Cable ready, Carpeting, Ceiling fan, High speed internet available, Vaulted ceiling, Walk-in closets, Dishwasher, Garbage disposal, Refrigerator, Dishwasher, Garbage disposal, Refrigerator, Balcony/Deck/Patio. FORT LAUDERDALE - "Minutes from the Beach...Minutes from downtown...Minutes from shopping, restaurants and more..." Village East offers 1 and 2 bedroom apartment homes -"Select" models with 1 car garages and vaulted ceilings in a convenient location! All apartments come with a fully equipped kitchen, full size washer and dryer, vertical window treatments, ceiling fans, centeral air, new carpet and paint! Most Units Feature: Air conditioning, Cable ready, Carpeting, Ceiling fan, High speed internet available, Vaulted ceiling, Walk-in closets, Dishwasher, Garbage disposal, Refrigerator, Washer/dryer in unit, Balcony/Deck/Patio. 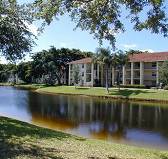 Property Features: Assigned parking, Attached garage, Clubhouse, Fitness center, Pool Controlled access, Business center. FORT MYERS - Will be complete in September. Available anytime starting in October. Long or short term lease. Amazing 8th floor, 3 bed rooms, 2 bath rooms, over 1700sq'. Also available for $180k, boat slip and private pool side cabana. North Star Yacht club is unlike any other community being built in Fort Myers. No other offers its unique combination of convenience and casual, resort ?style living. And none offers its easy access to dining, entertainment and the great outdoors. Enclosed in a private, gated setting the lushly landscaped park areas, residents? boat docks, resort-style pools, cabanas, fitness trail, formal gardens, outdoor pavilions and entertaining spaces, redefine what riverside city living is all about. The beautifully appointed fifteen thousand square-foot clubhouse with business center, concierge services, meeting rooms, video arcade, theater, aerobics and machine exercise areas, steam and locker rooms and space for gatherings of up to two hundred, provides everything you need to entertain in grand style. Live at North Star Yacht Club and cast off for the Atlantic, Gulf of Mexico and the world beyond via the intercostal waterway whenever wanderlust overtakes you. With deep-water slips for yachts to 50 feet, including water, electric, and telephone hook-ups, North ?Star Yacht Club is a homeport you?ll love coming home to. If you prefer on-the-water experiences that are closer to home, the Caloosahatchee River is ideal for canoeing, kayaking, bird watching, fishing and sundown cruises with friends. 14 story luxury mid-rise building. 15 min. to airport and Sanibel Island. 1 hour to Naples, 2 hours to Miami. Call or E-mail for a brochure, DVD and more info 617-719-4486, NorthstarRentals@hotmail.Com. MIAMI - "Free high speed internet and Direct TV... State of the art fitness center... All utilities included... Newly renovated... Ideally Located For Easy Access To All Major Highways... NO SECURITY DEPOSIT!!!" Luxurious newly renovated apartments, one and two bedroom furnished suites with European style kitchens. Enjoy the comforts of home. 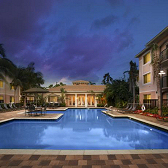 Whether it's long term or short term, your out-of-town guests, your business visitors, everyone will enjoy this convenient home away from home, just minutes from Miami International Airport, University of Miami, Florida International University, Miami Beach, Coconut Grove and Coral Gables. All utitlies are included in the rental price. Month to month leasing is available. Most Units Feature: Air conditioning, Cable ready, High speed internet available, Walk-in closets, Dishwasher, Microwave, Refrigerator, laundry room, balcony/deck/patio. 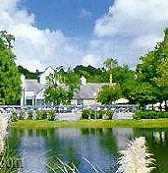 All Property Management your guide to finding Florida property management companies including property managers in Tallahassee, Jacksonville, Orlando, Miami and Tampa.